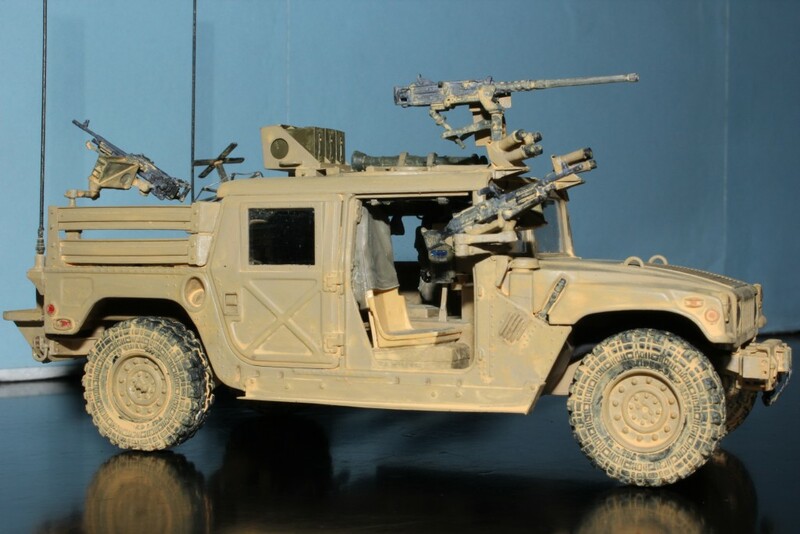 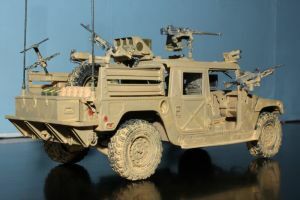 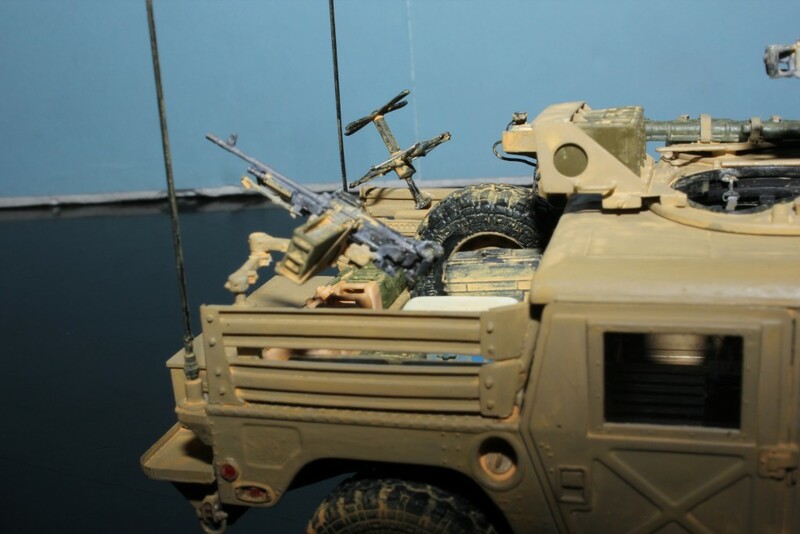 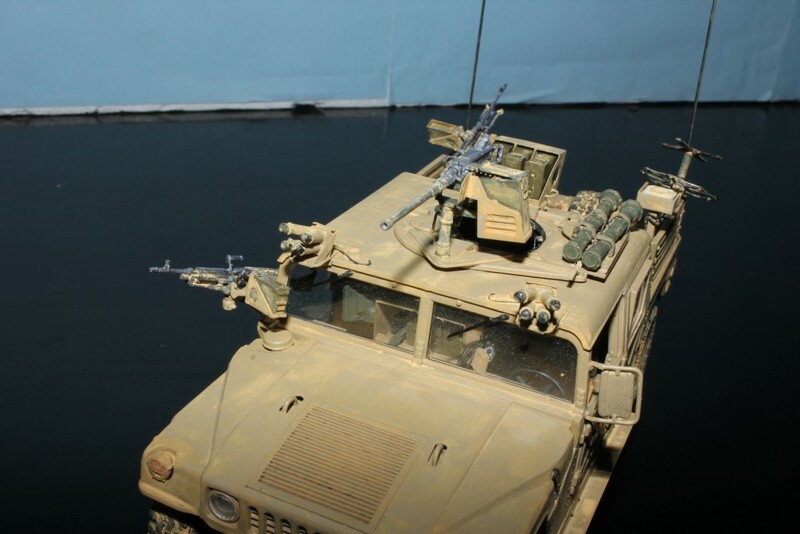 This is another HMMWV in my collection, a US Special Forces Dumvee used during OIF (Operation Iraqi Freedom). 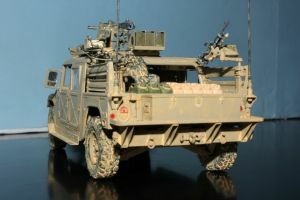 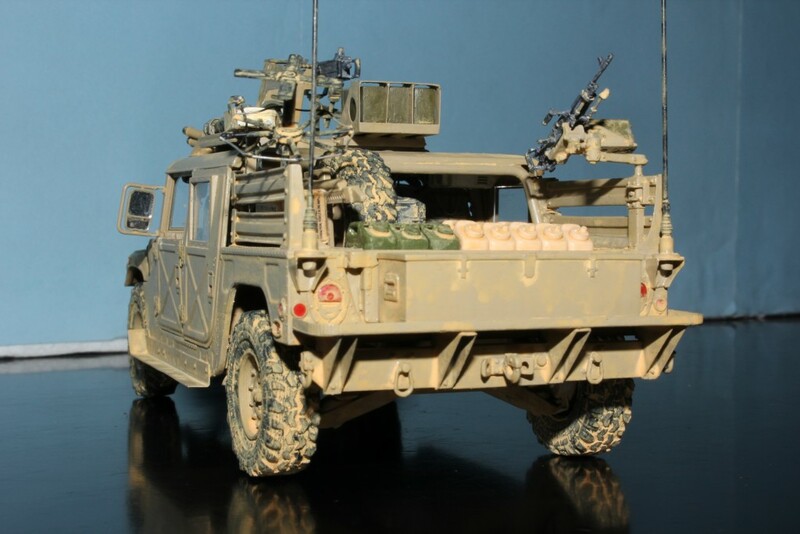 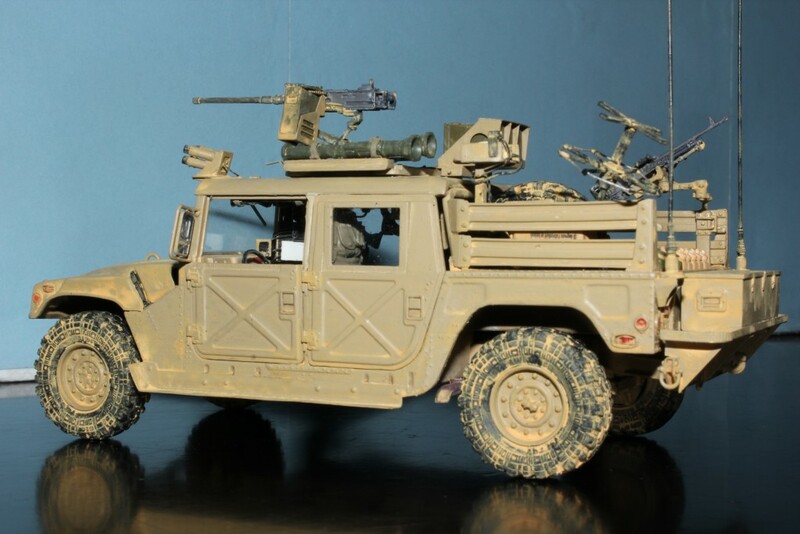 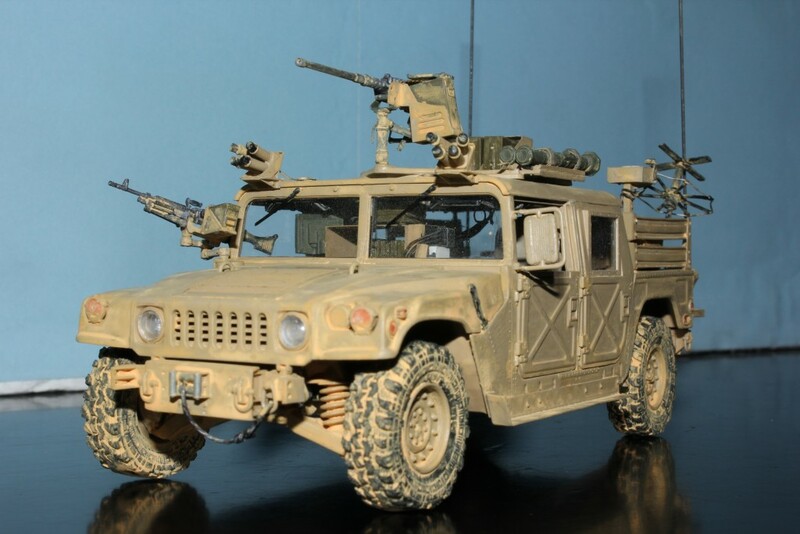 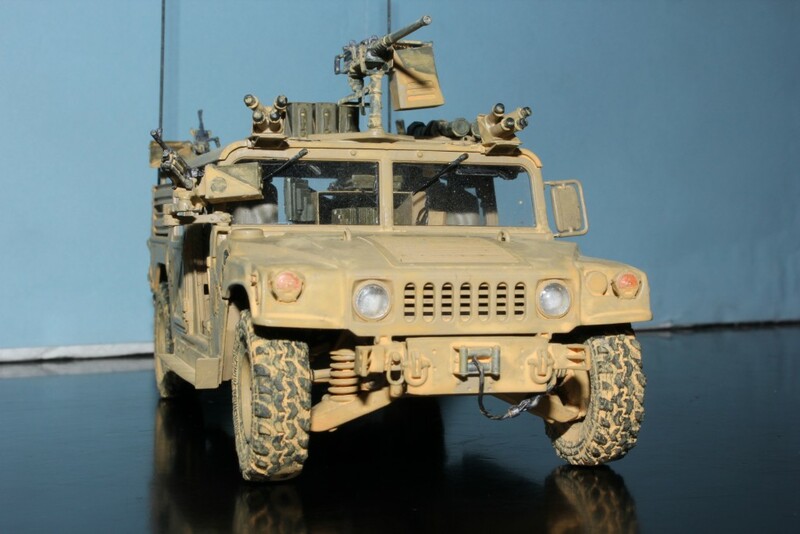 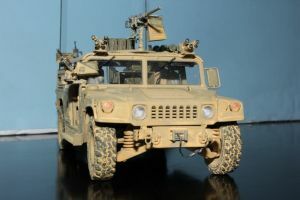 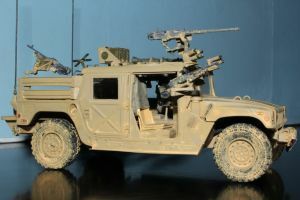 It is based on the Tamiya M1025, ugraded with Legend “Special Forces GMV Conversion Set” (LF1212). 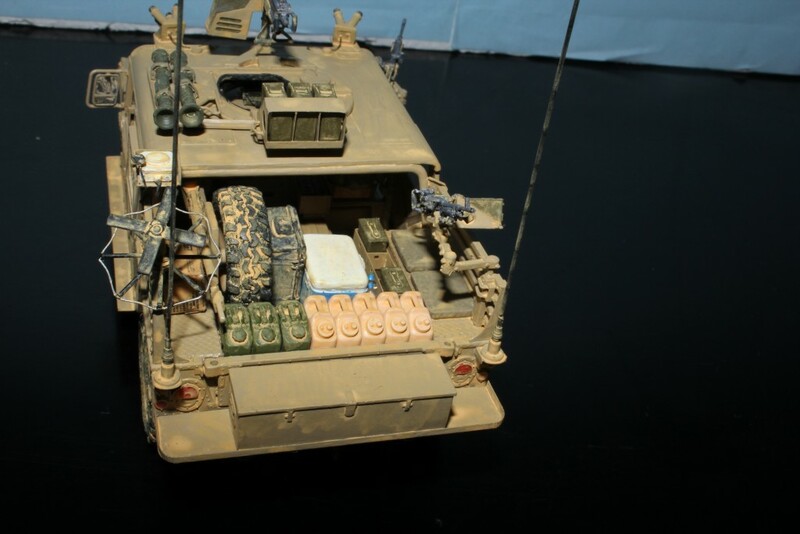 Wheathering has been done using AK Interactive enamels “OIF&OEF Wash”and “OIF&OEF Streaking Effects”. 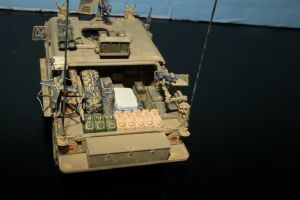 Model completed in January 2015.